Oakridge Group, along with James Guido Construction intends to complete Phase II of Oakridge Estates to a higher standard of quality and energy efficiency. 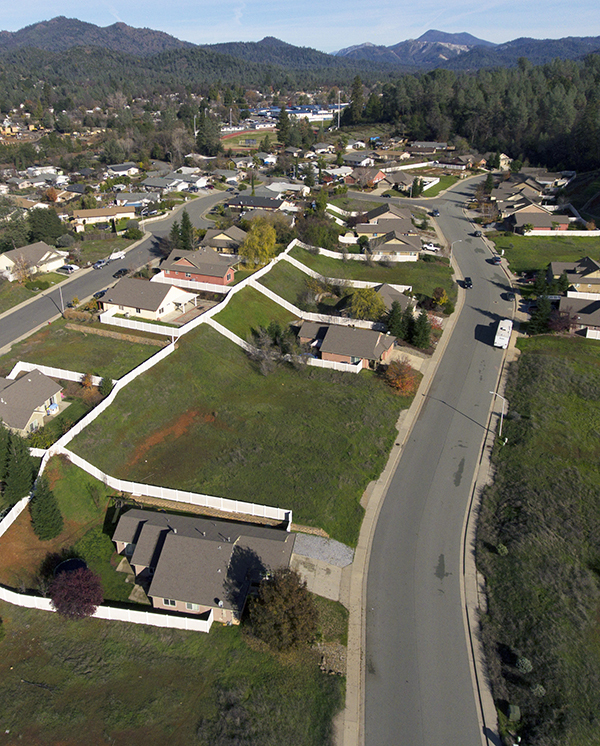 Along with partners in sales, The Address Realty, our intention is to create and complete this truly special Oakridge neighborhood nestled into the hills near gorgeous Lake Shasta. Oakridge Estates Phase I sales began in 2006. About half the homes in the neighborhood were completed then. The homes have a unique Craftsman influenced style. Phase II construction was delayed until now by the housing downturn, but construction is currently underway. Energy standards for new home construction have improved since Phase I, and so the new homes being built will be somewhat different in style to reflect new and better building materials, along with the latest construction techniques. What will not change is our commitment to the highest quality and unique design, which will result in a desirable neighborhood where homes retain value and attract admiration. James grew up in Shasta Lake City. He joined the legendary Shasta County area firm of Ochoa and Shehan Builders, where he rose through the construction ranks to become Project Coordinator. James then went on to establish his own firm, James Guido Construction where he has built custom homes and overseen complex remodeling projects. James lives in Shasta Lake City and his son attends school in the Gateway School District.